TV sets are not made as museums. 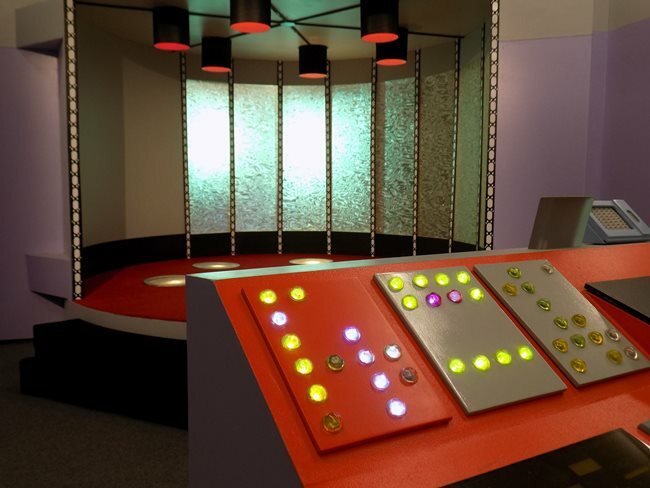 Budgets are tight and typically they are dismantled, as they were for the original Star Trek TV show, shot 50 years ago. 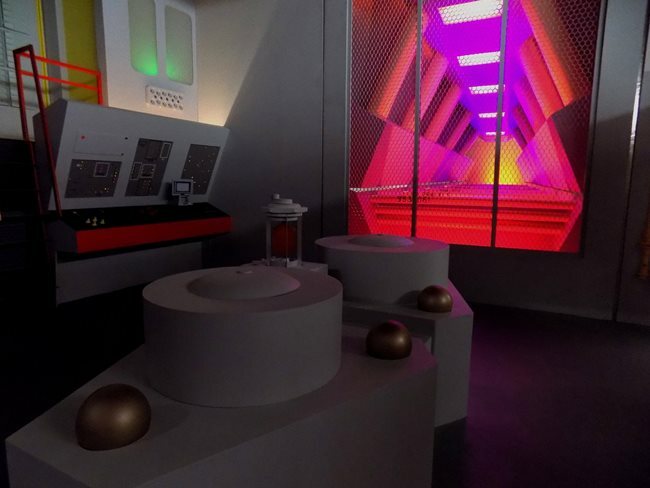 But did you know that Star Trek superfans have lovingly recreated the sets! 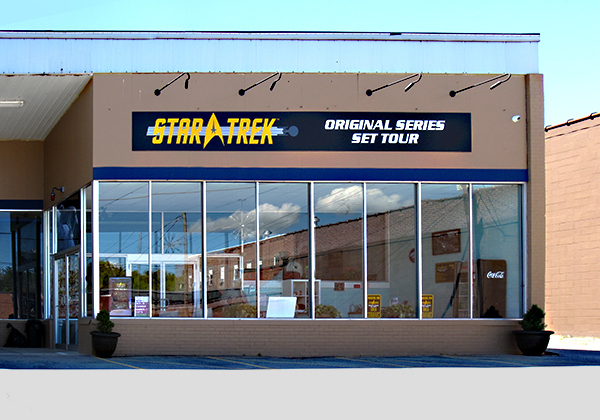 They’ve created a remarkable destination called the Star Trek Original Series Set Tour in eastern New York, just a 4-hour drive from Boston. The passion and accuracy of the sets is stunning, and the venue is licensed by CBS, which owns Star Trek and makes it official and legal. You’ll see every part of the USS Enterprise, the star ship that Captain Kirk and Mr. Spock took to rescue and sleep with exotic aliens all over the galaxy. Find sick bay, Captain’s quarters, engineering with the warp drive, and of course The Bridge, where you can sit in the captain’s chair. Video recording is not allowed, but you can shoot photos from anywhere and our tour guide gave us plenty of time to do so. William Shatner, the original Captain Kirk, has visited and praised the set as authentic. As you’ll learn on the one-hour tour, the set is made to look like the original set at Desilu Studio. So there are no ceilings, and some rooms don’t have all their walls. You’ll learn a lot about how TV sets are lit and filmed within. That being said, it really is just for fans of the show. Non-geeks may be left wondering what all the fuss is about. Well, Star Trek was a TV show at a time when science fiction was mostly about fear of technology. Star Trek instead gave a positive vision of the future, with the Earth at peace, and part of a peaceful Federation of planets that work together for exploration, assistance, and mutual cultural exchange. 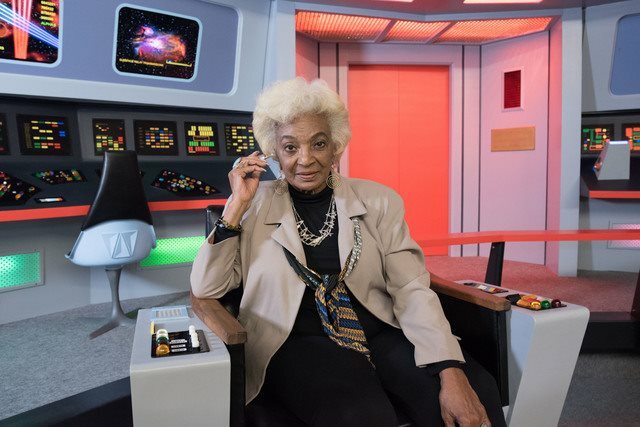 Nichelle Nichols at Trekonderoga. Photo by Garth Gullekson. Star Trek pioneered social justice issues, for example having the first interracial kiss on television. It’s also a metaphor for the leadership of the United States during World War II and the Cold War, as Captain Kirk breaks the rules on non-interference to help aliens in trouble. So the show has inspired many people, and become one of the biggest TV and movie franchises of all time. While you’re in the area — see nearby Fort Ticonderoga (5 stars) — or to come to their special events such as the annual Trekonderoga, which this year featured Karl Urban (McCoy in the movies). And William Shatner (Captain Kirk) and Anson Mount (Christopher Pike) are coming in December. The venue is astounding if you are a fan, but it is small, set in a mall location, and has only a gift shop as the only other activity you can do. 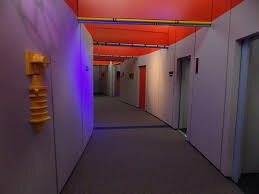 So, it’s an astonishing work of love, but only 4 stars for The Star Trek Original Series Set Tour as a destination.